Half Marathon, 10km, 5km, 2km & 1km runs and 4km social walk. CASH prizes for Half Marathon and 2km. Medals for 1st, 2nd and 3rd in all categories. All runners professionally timed and recorded by Tomato Timing. Registration on the day will incur a $15 surcharge (except the walkers). Signs will be posted on Maroondah Hwy (High St), the Mansfield-Benalla Rd and Highett St.
* Please do not park at the Visitor Information Centre on High St.
Last year we $15,000 to the Mansfield District Hospital and $2,000 to the 1st Mansfield Scout Group. Organised by A THIRD HAND VOLUNTEERS INC.
10.00am - 4.00pm: Open Garden Day hosted by Mansfield Garden Club. 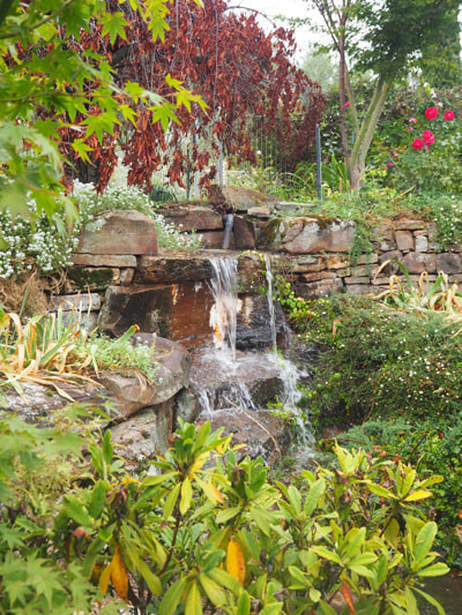 Proceeds from the day to the upgrade of the Bindaree & Bentley Cottage Gardens. 11.00am - 4.00pm: Glorious Floral Festival. Dozens of beautiful flower arrangements created by local people supporting local community welfare. Gold coin donation to support charities. ​St John's Church, cnr Highett & Victoria Streets. Enjoy a picnic lunch of sizzling spit-roast lamb, fresh salads and sweets, combined with the delicious, newly released wines of Barwite Vineyards and Ros Ritchie, in the picturesque vineyard surrounds. Tickets includes two course lunch and glass of wine on arrival. Additional wines at cellar door prices. Wine tastings and sales also available. Bring along your picnic rug, deck chairs and picnic tables. ​Enjoy live music in a glorious setting! Barwite Vineyards,1974 Long Lane, Barwite 3722. Tickets $45.00 per person. Bookings essential for this sell out event. It’s not hard to be enthralled by the magic of Seuss stories, with their delectable bizarreness and moving messages about humanity at large. Seussical the Musical, MMuDS next musical production in November 2109, interweaves several Seuss classics into its plotline.